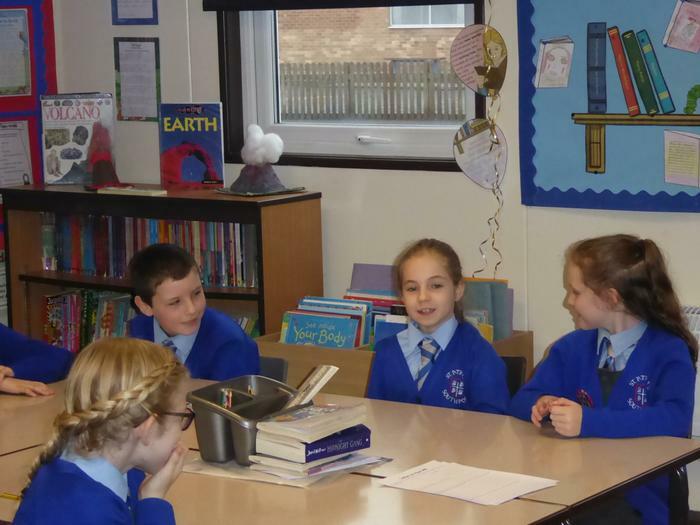 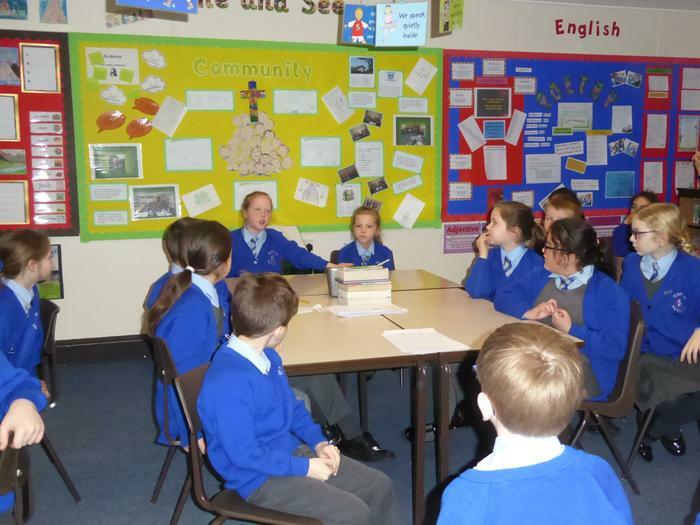 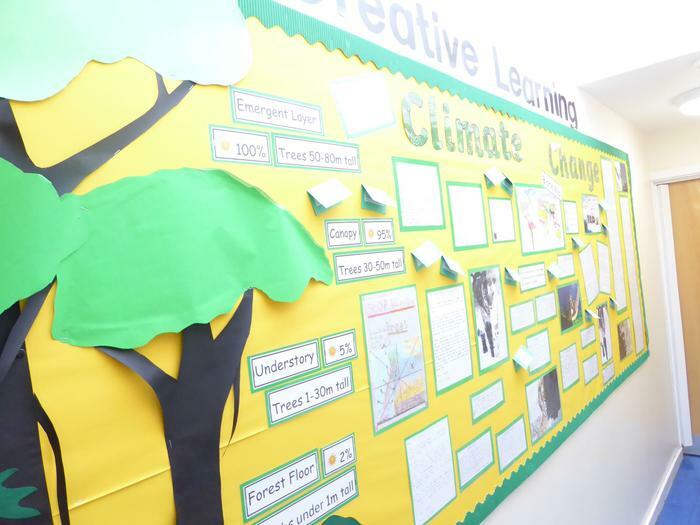 At St Patrick’s Catholic Primary School, we believe that our curriculum should be challenging, exciting, enjoyable, and relevant. 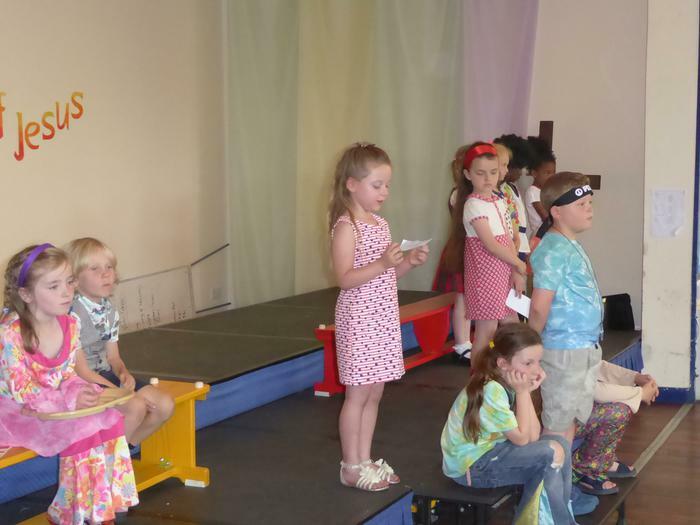 We strive to meet the needs of all children across the spectrum of abilities. 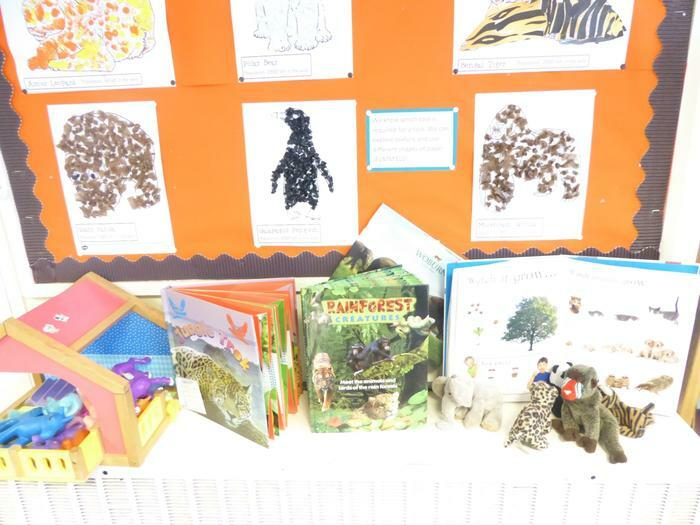 Our school's curriculum is all the planned activities that we organise in order to promote learning, and personal growth and development. 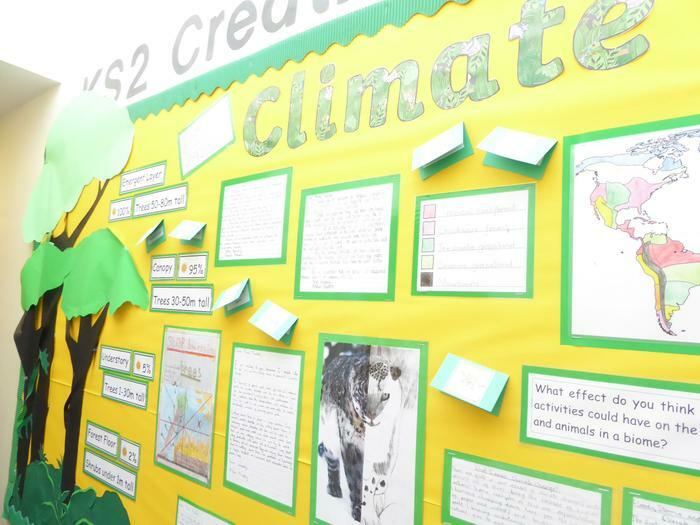 Each class produces a Curriculum Map at the start of the academic year which outlines how subjects link creatively. 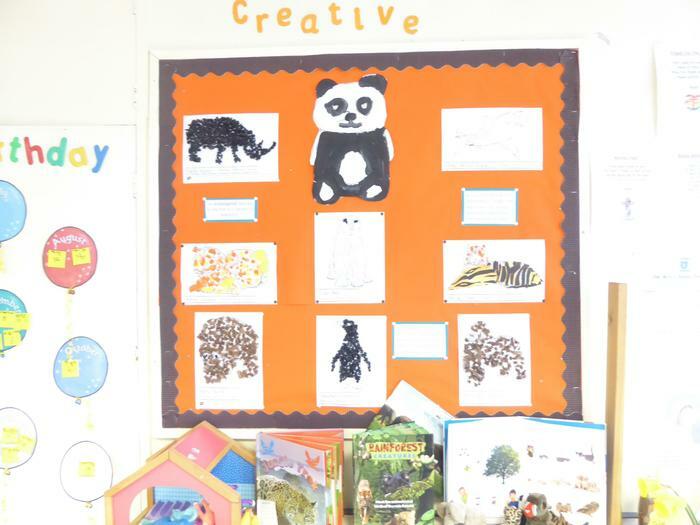 A creative overview is also produced each term which offers more detail with regard to topic coverage. 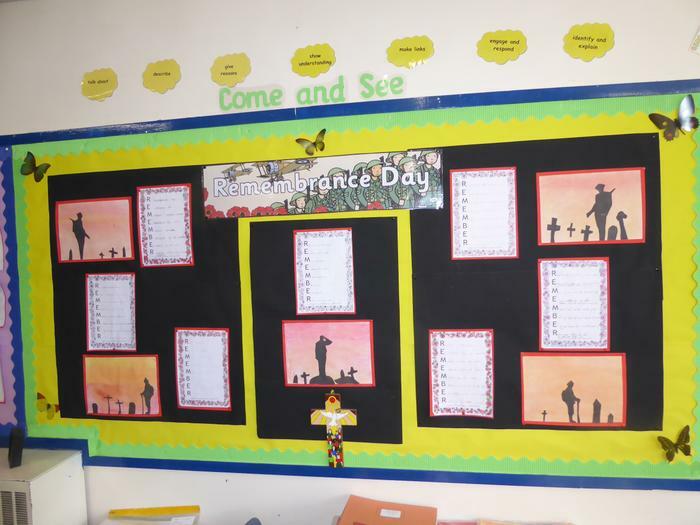 You can view these documents on class pages. 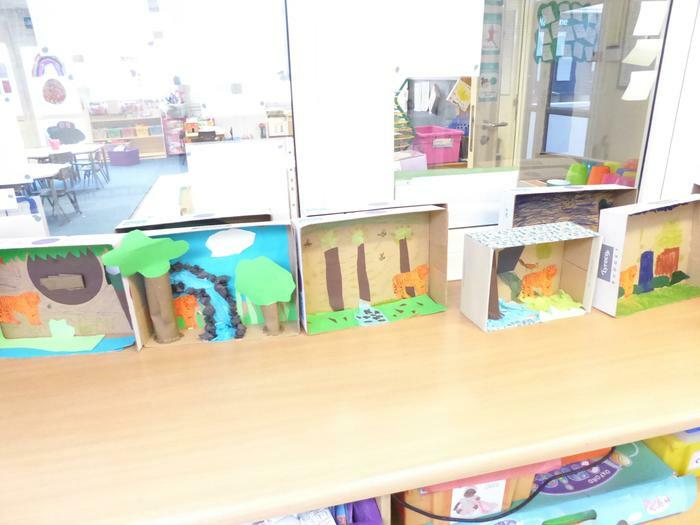 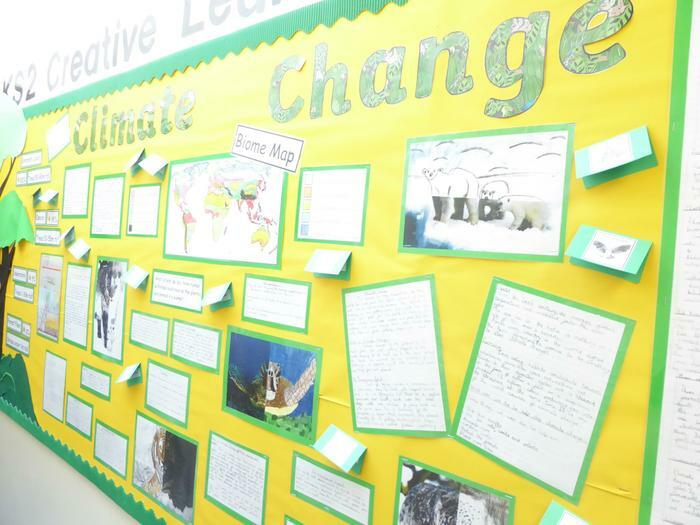 As a school, we enjoyed a week of creative learning focused on Environmental Issues. 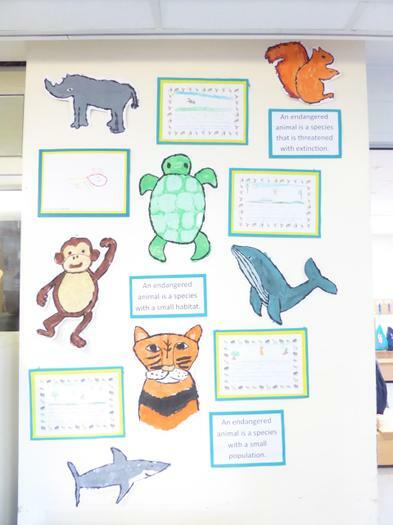 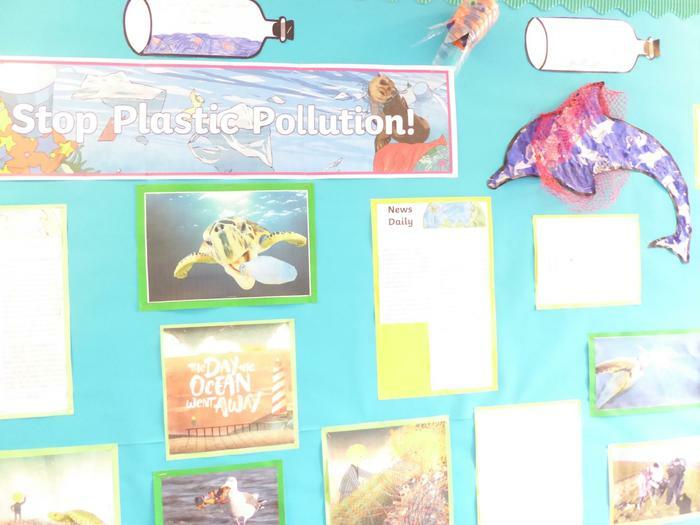 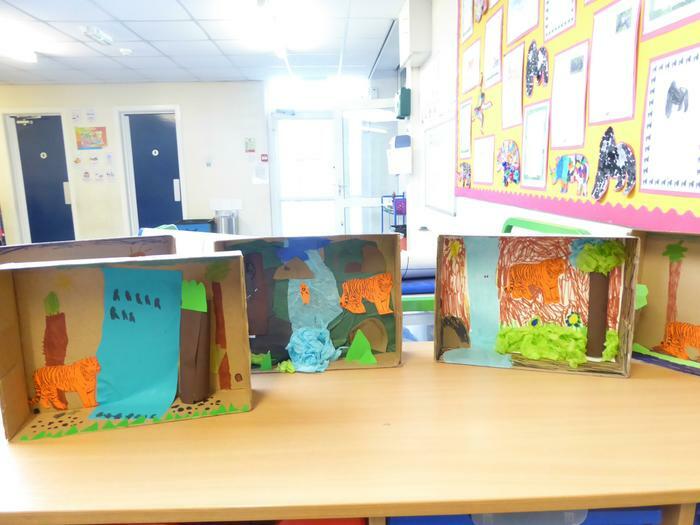 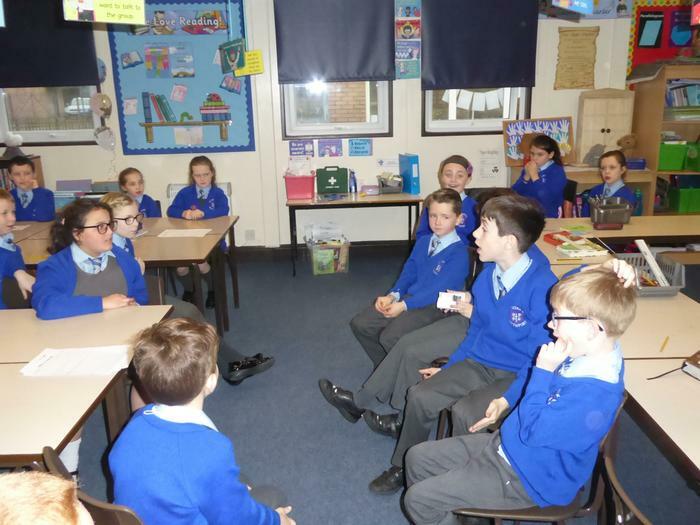 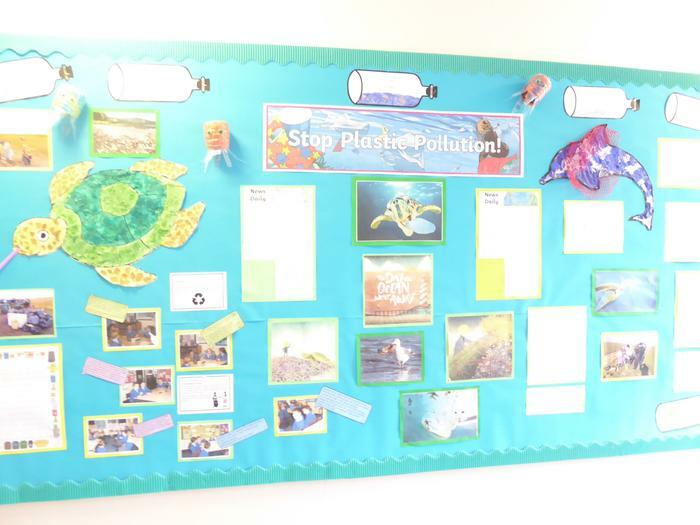 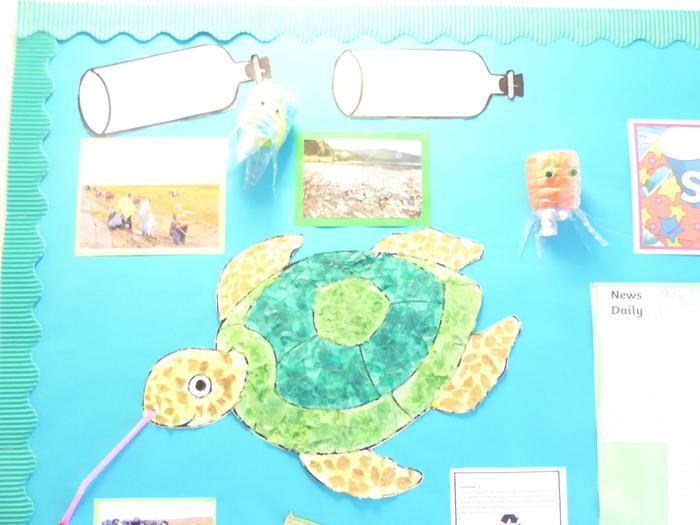 Pupils in KS1 learned about endangered animals, LKS2 explored the effects of plastic pollution and UKS2 studied Climate Change. 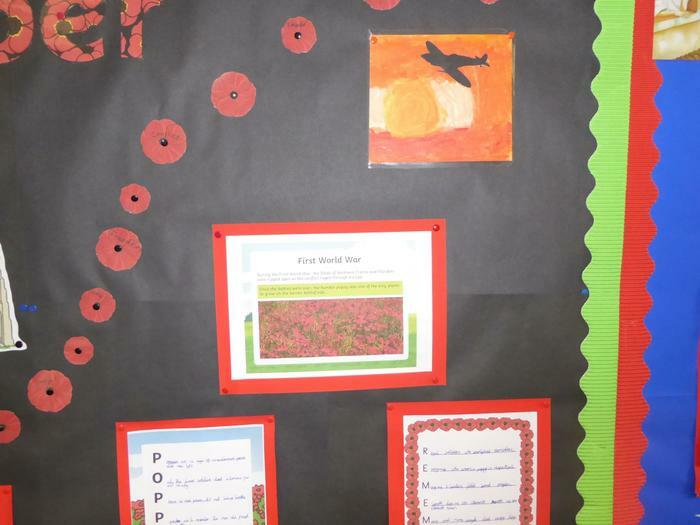 In the week of Remembrance, we honoured men and women who sacrificed themselves in service to our country. 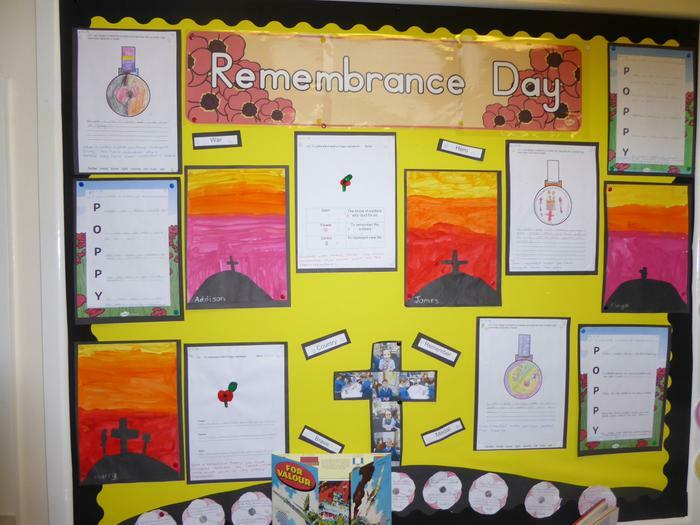 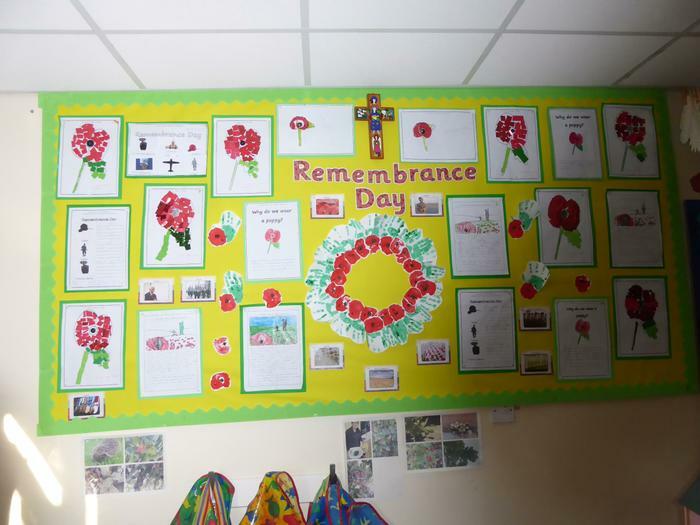 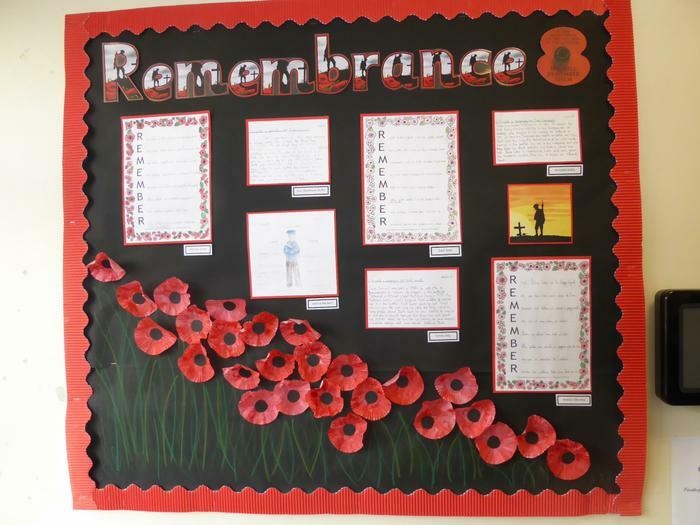 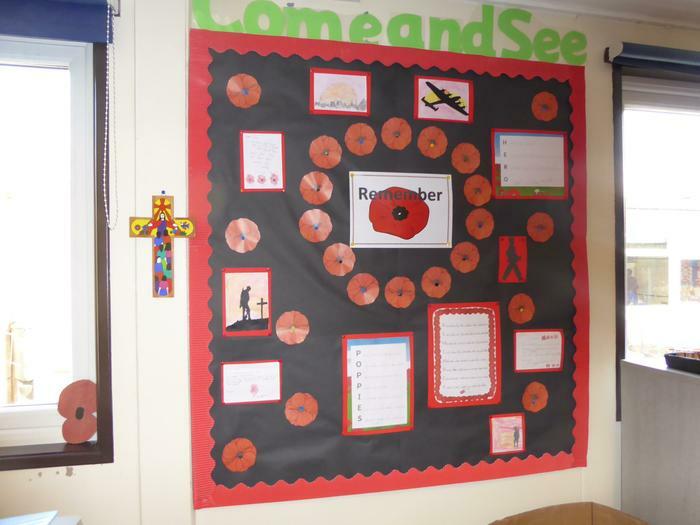 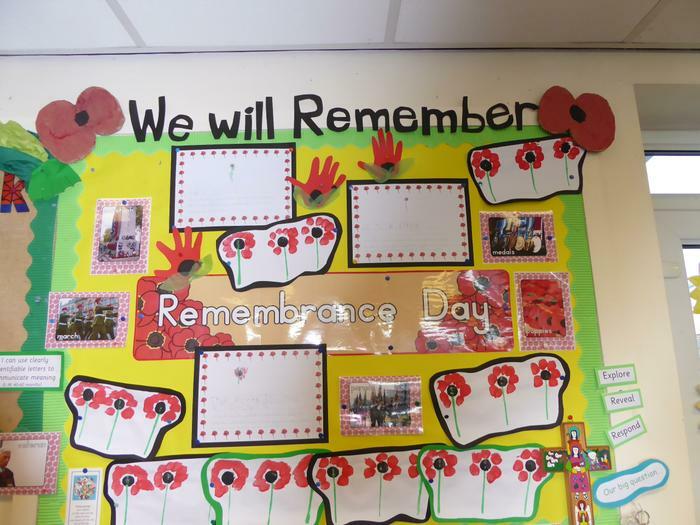 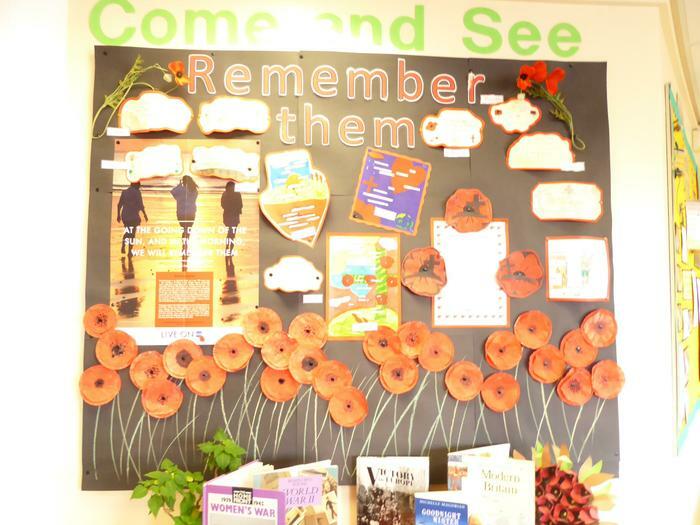 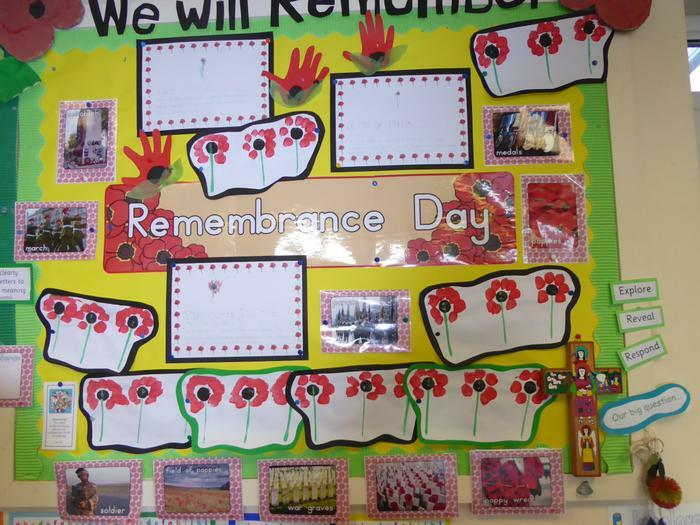 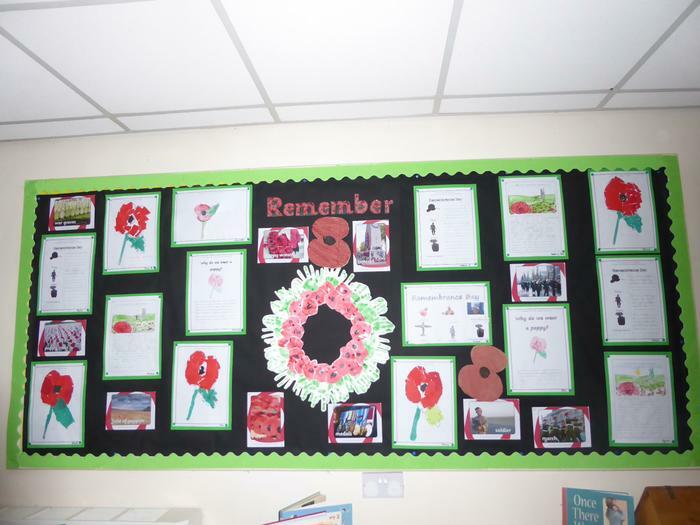 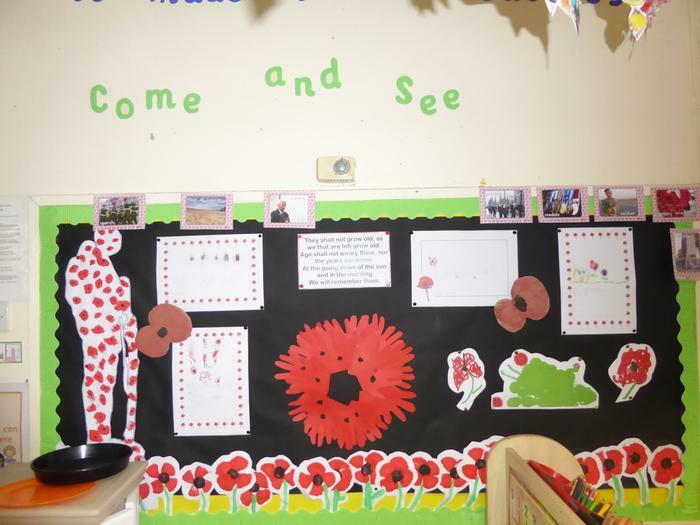 Armistice Day 2018 marks 100 years since the end of the First World War and classes produced thoughtful poems, letters, prayers and Art pieces. 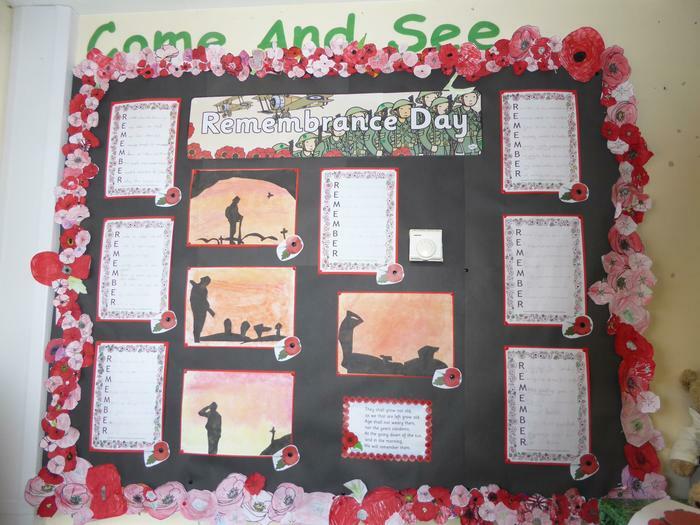 Our School Council led an assembly to mark this important and poignant year. 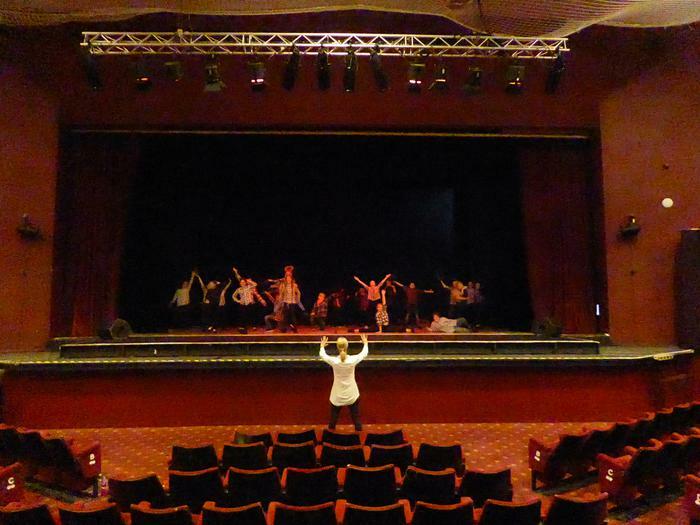 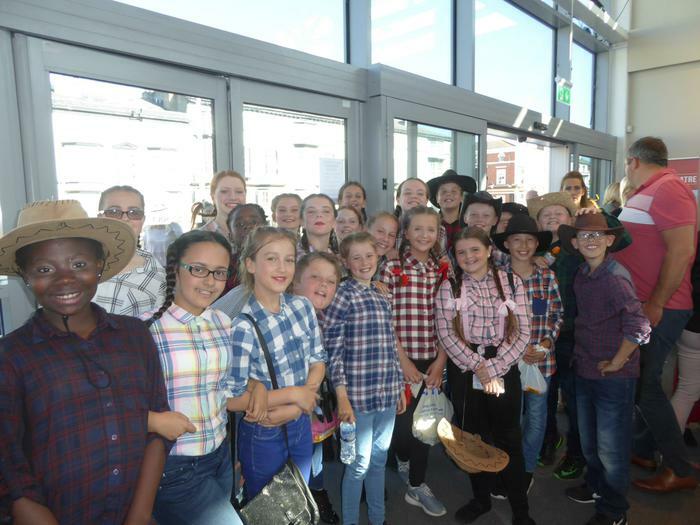 Our Year 6 pupils have enjoyed yet another fun filled festival at the Southport Theatre. 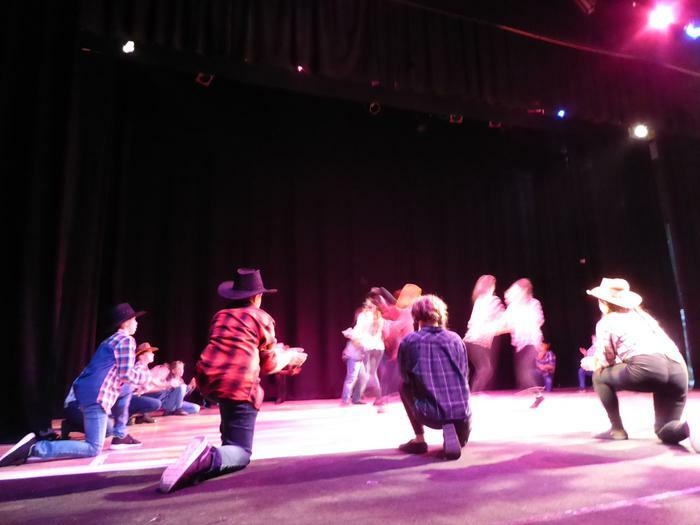 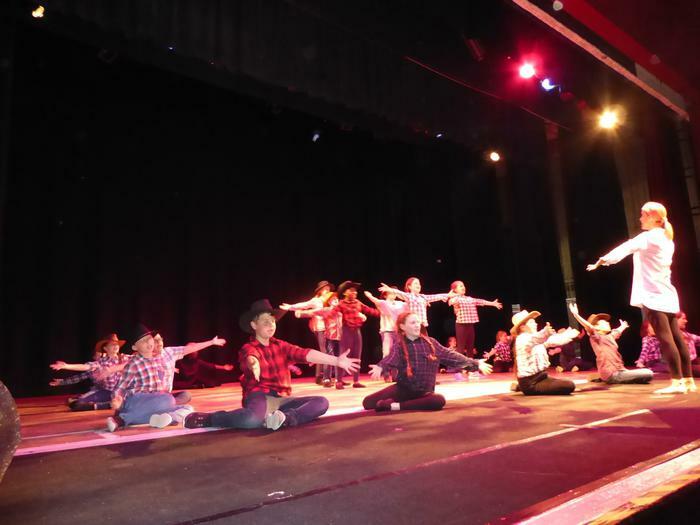 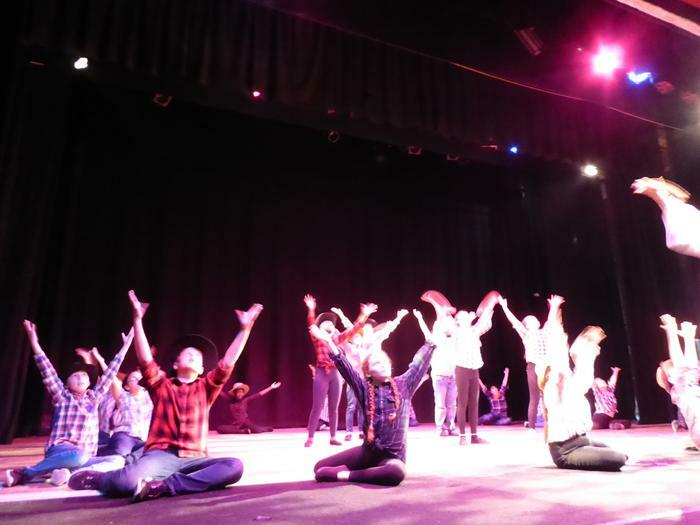 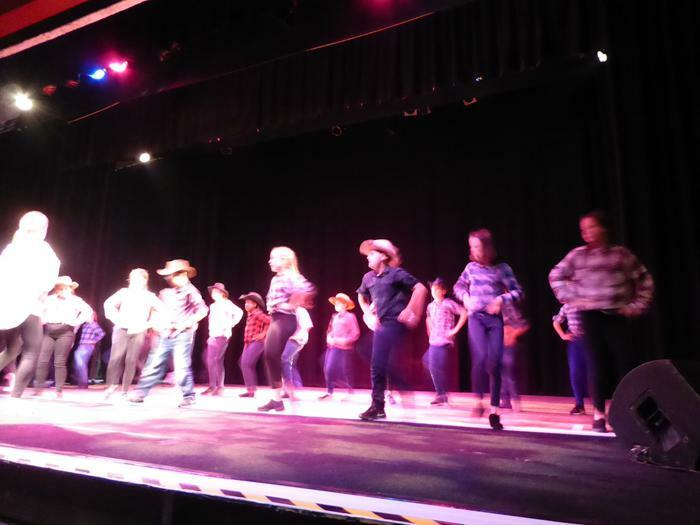 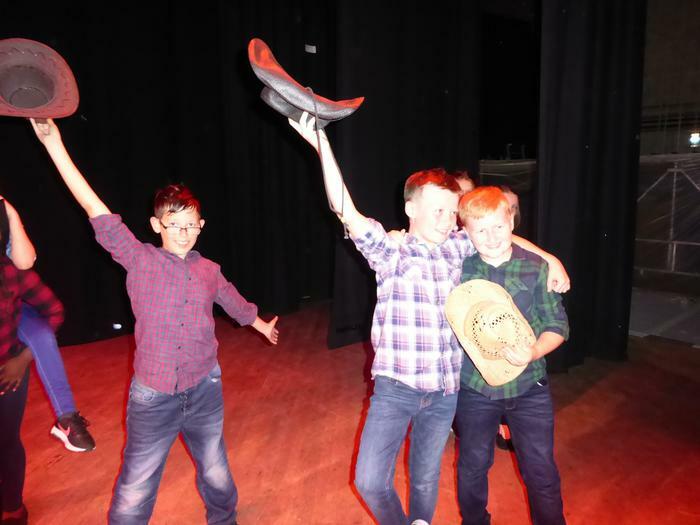 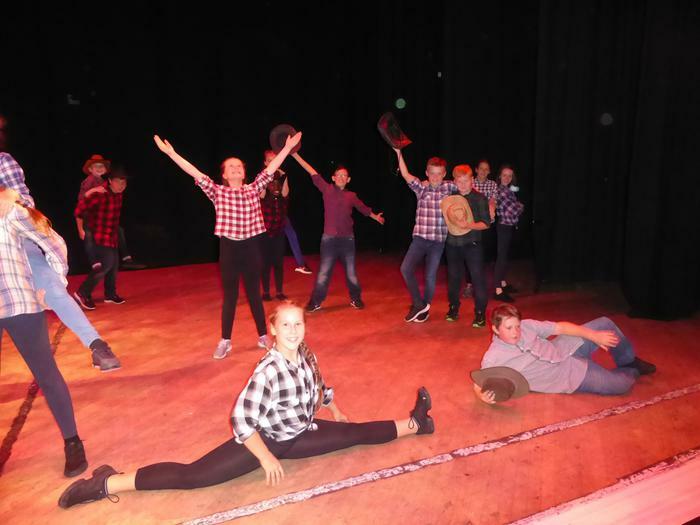 The theme for this year's Wally Cain was 'Historical and Cultural events' and we performed a Country and Western dance to the tracks; 'The Greatest Show' (a popular and current hit) and Kylie's 'Dancing'from her latest album. 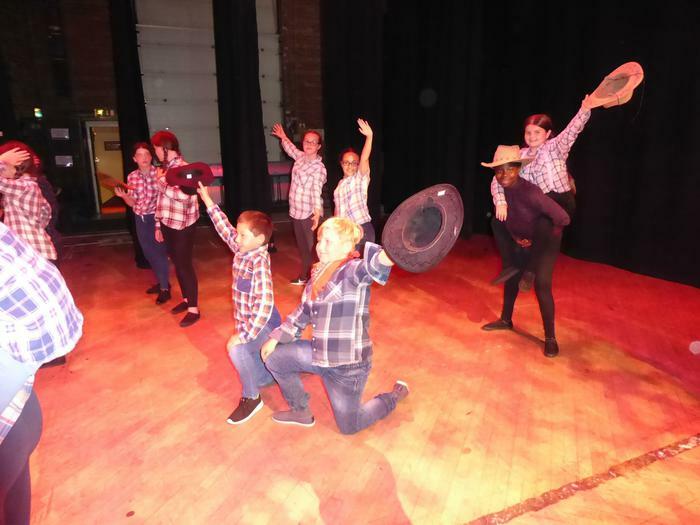 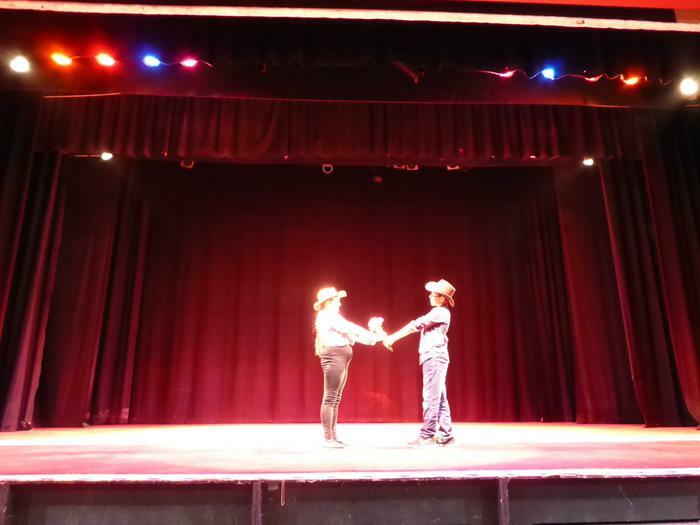 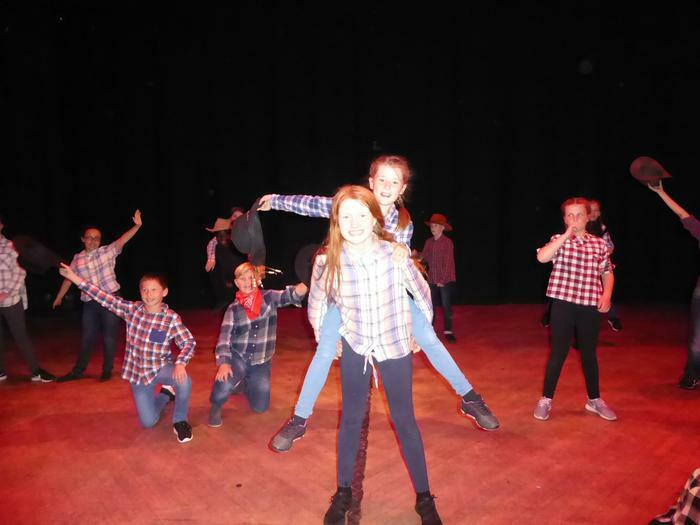 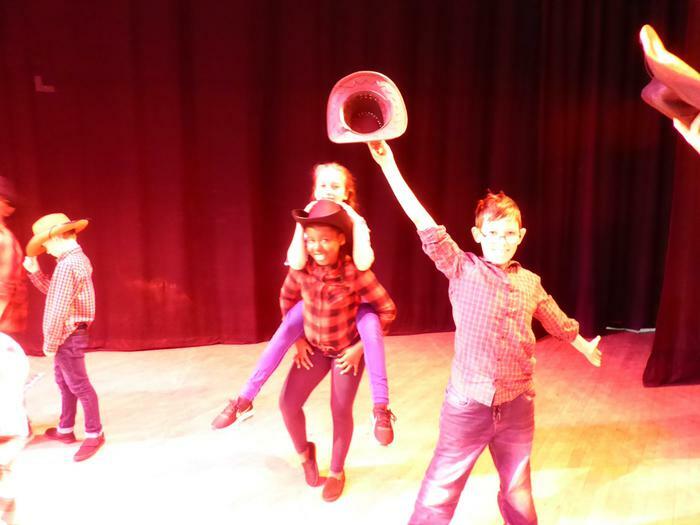 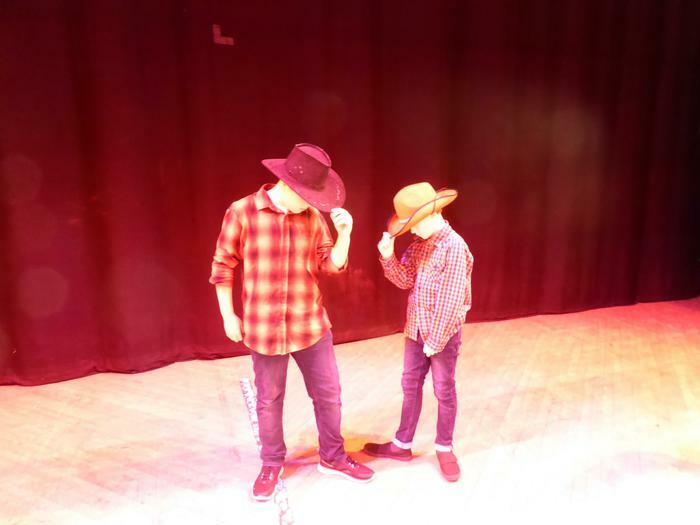 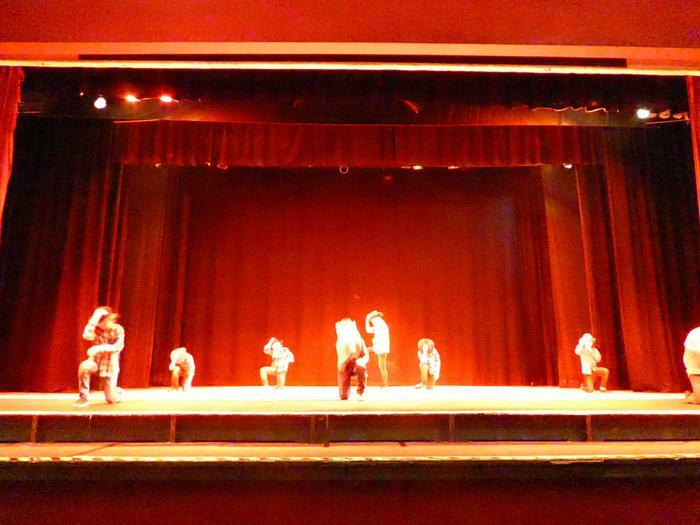 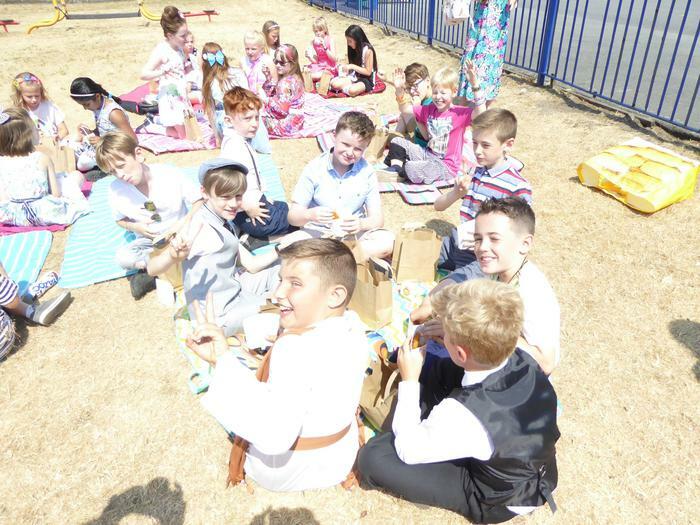 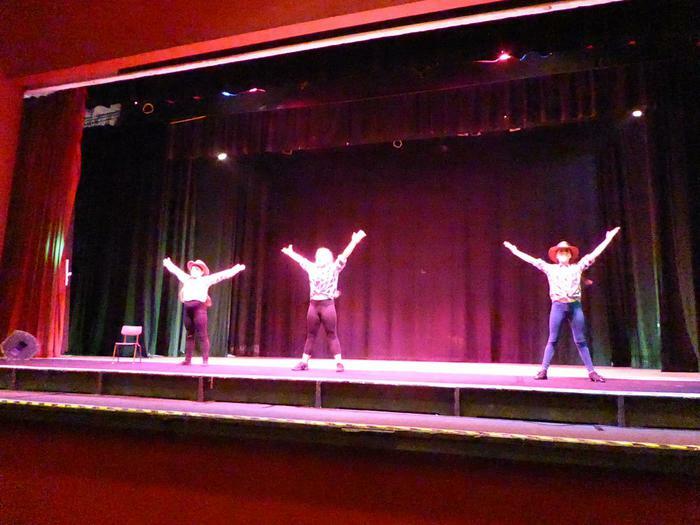 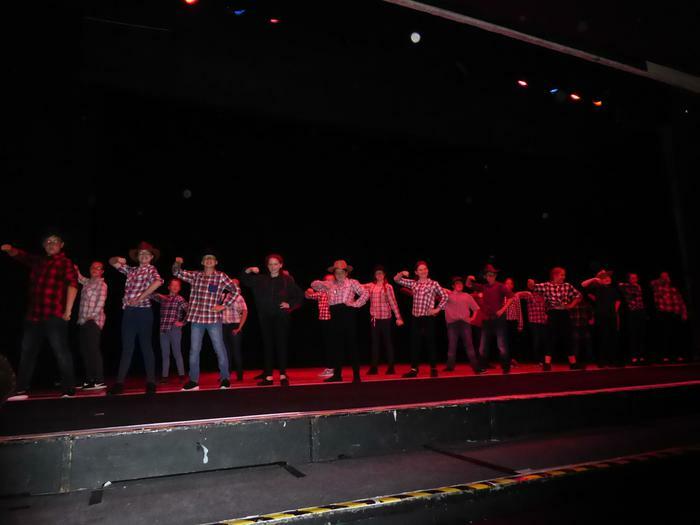 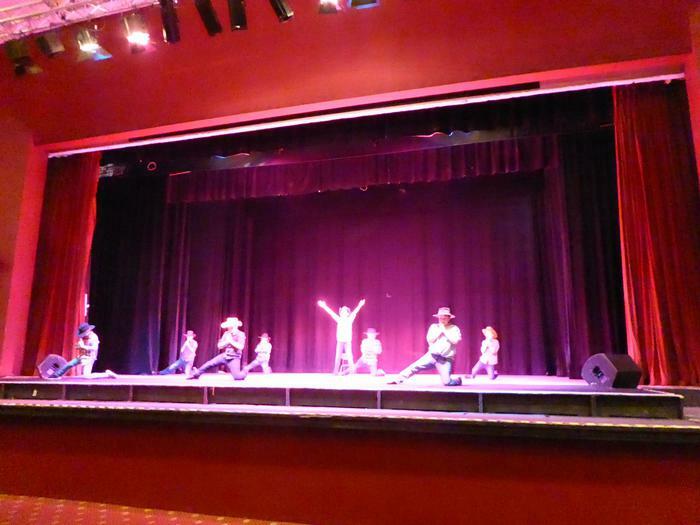 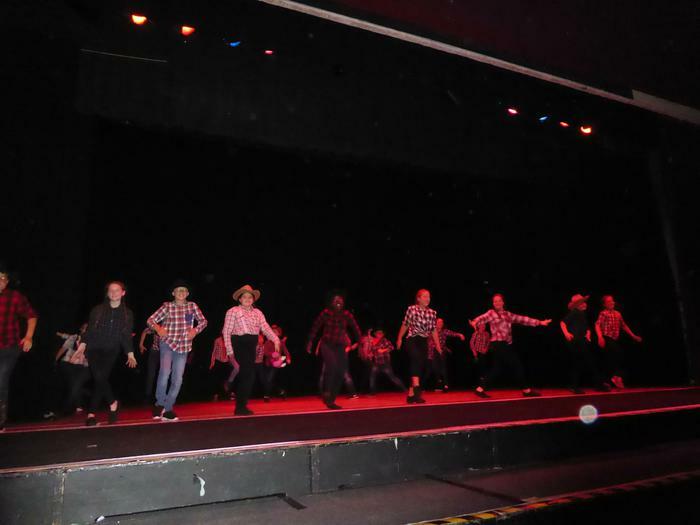 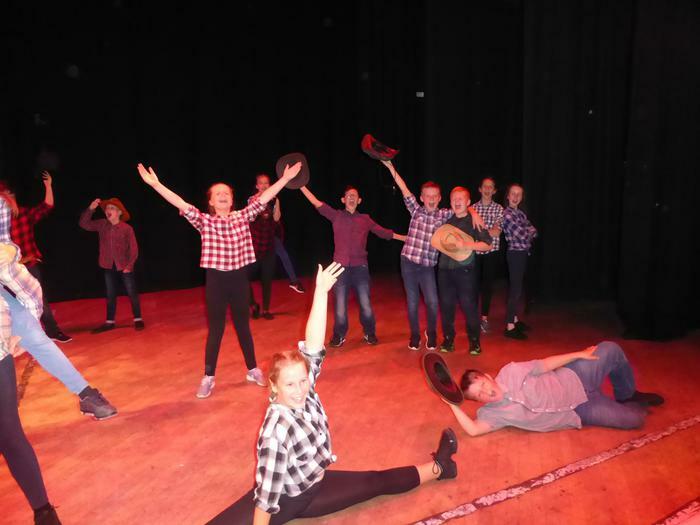 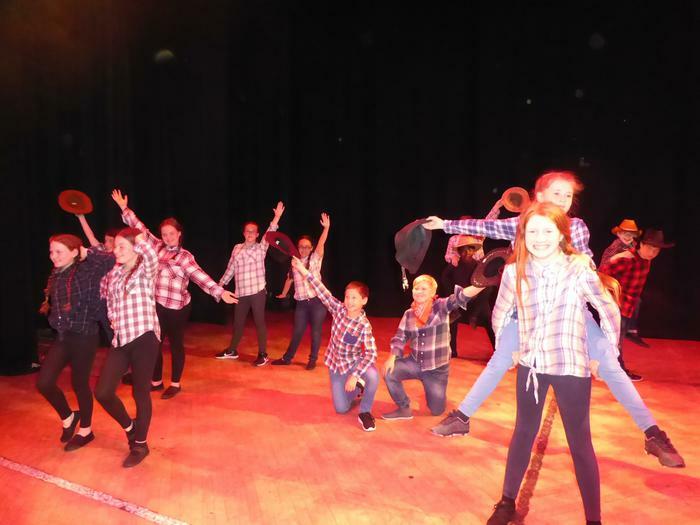 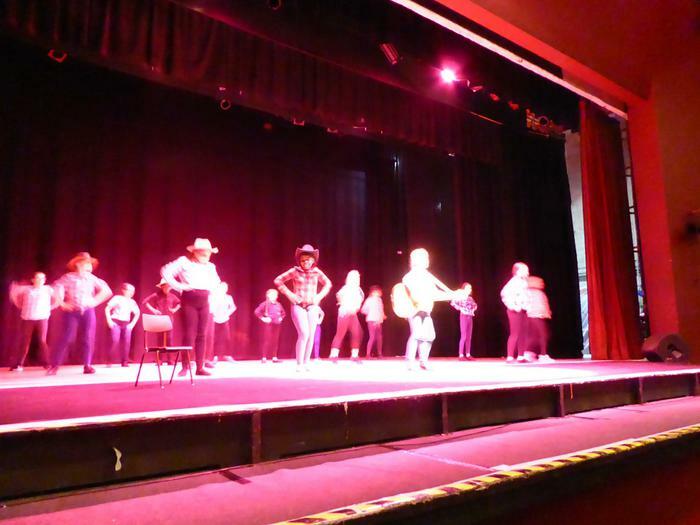 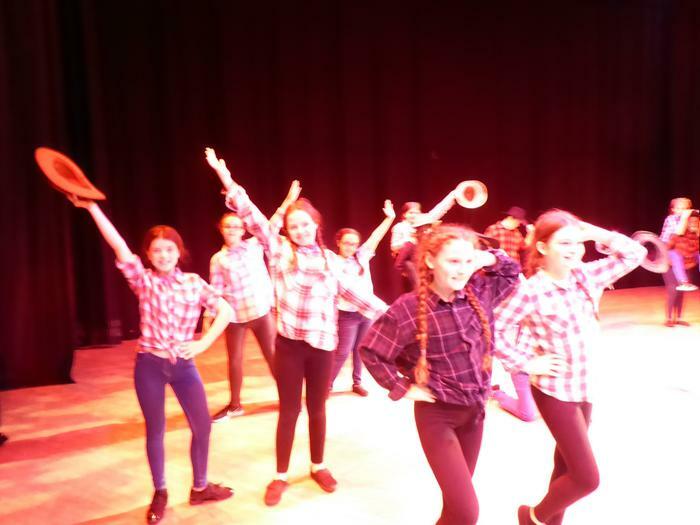 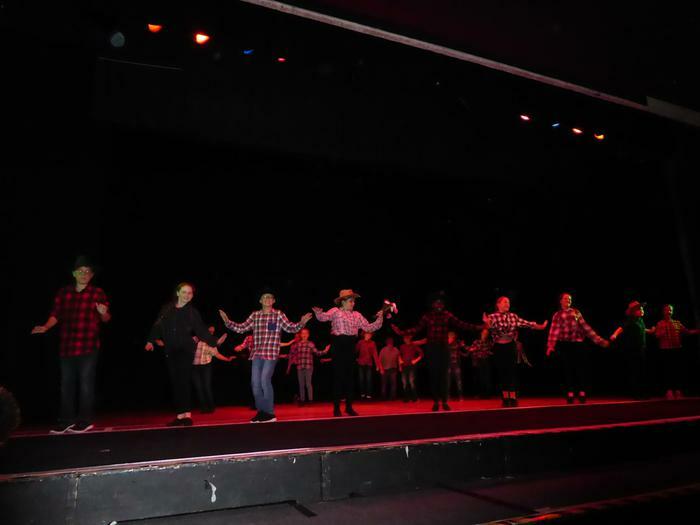 We had a great time performing at the theatre alongside 40 other schools in Sefton and look forward to showing our cowboy/girl moves at the school fair on Friday 13th July. 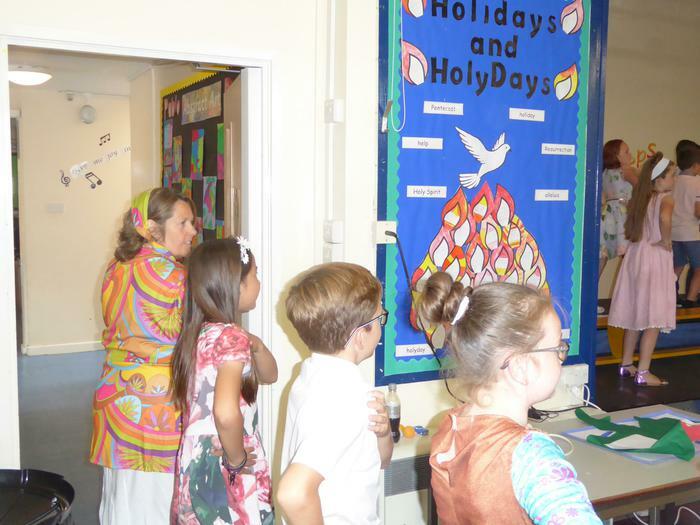 On 28th April 1968 St.Patrick's Catholic Primary School opened its doors for the first time to children from the parishes of St.Patrick's and St.Marie's and Sr.Mary was the first headmistress. 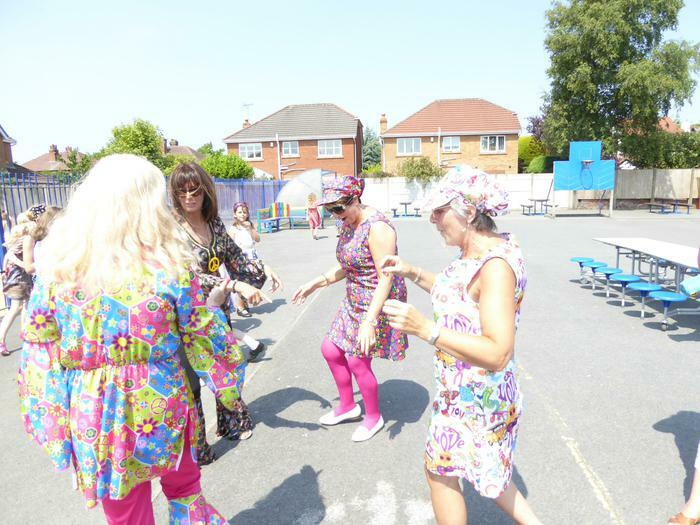 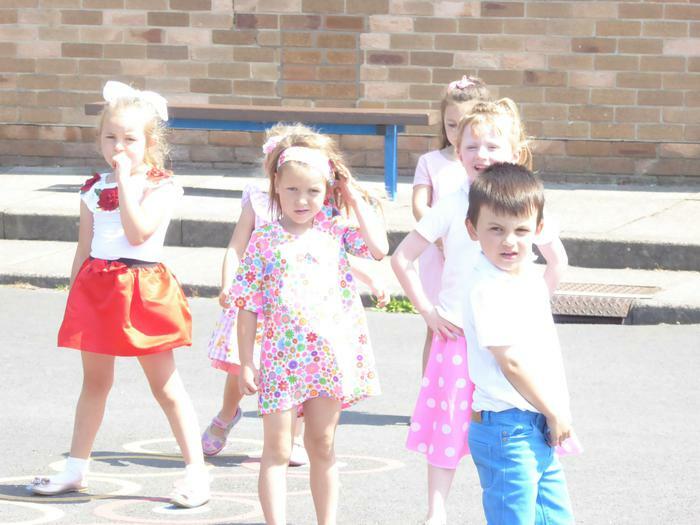 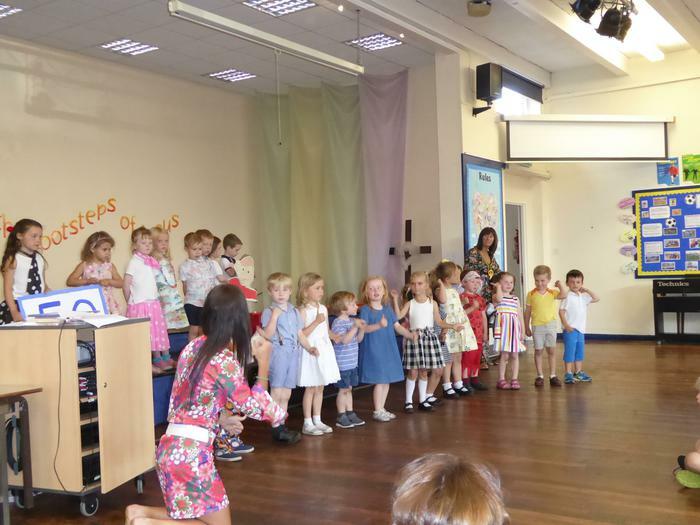 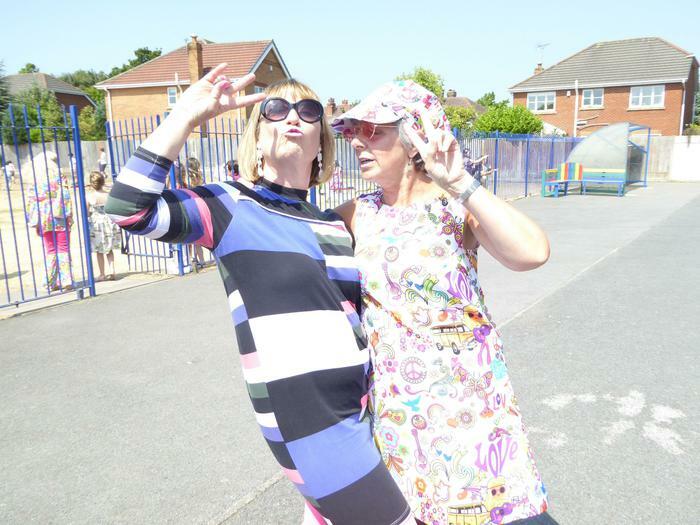 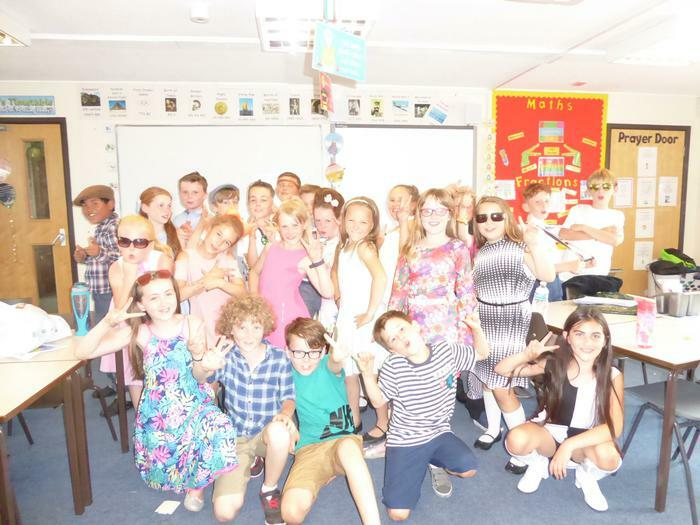 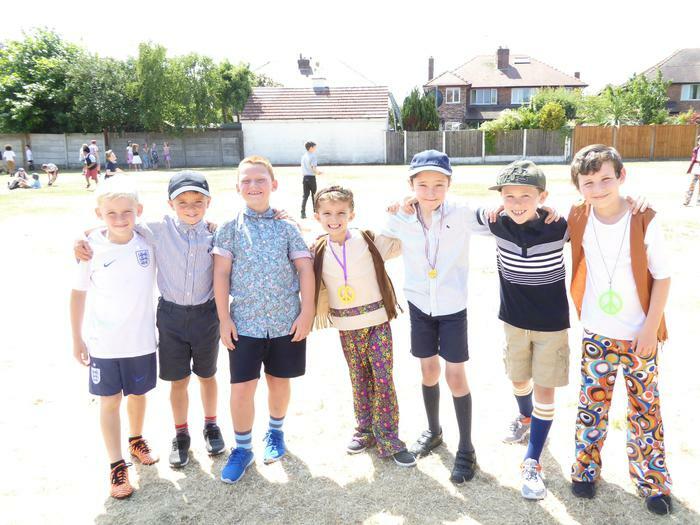 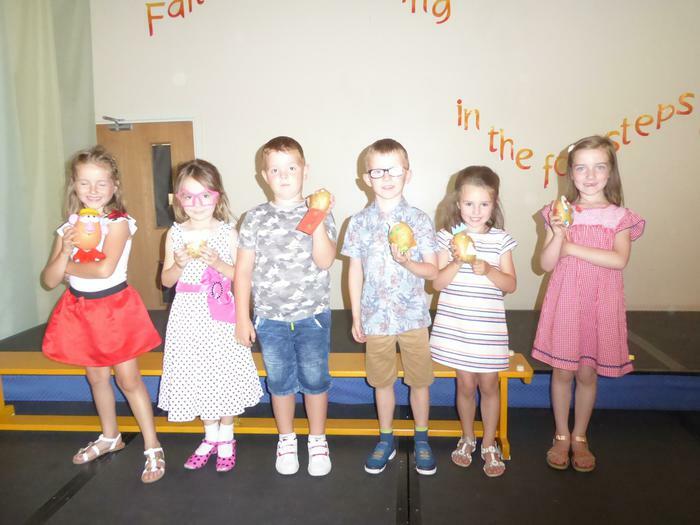 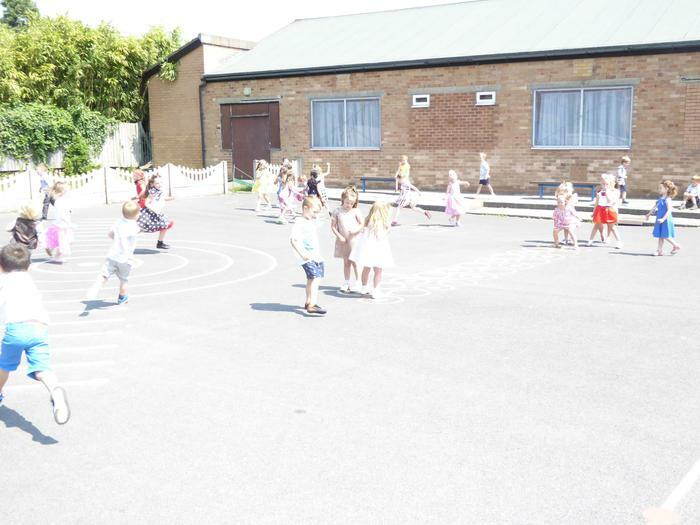 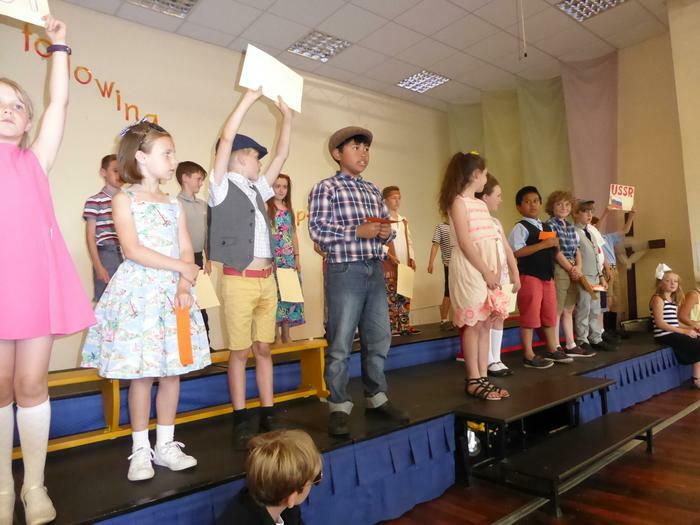 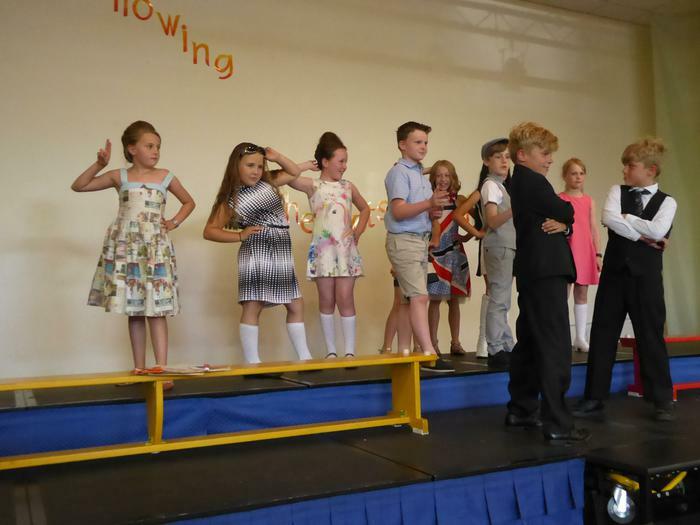 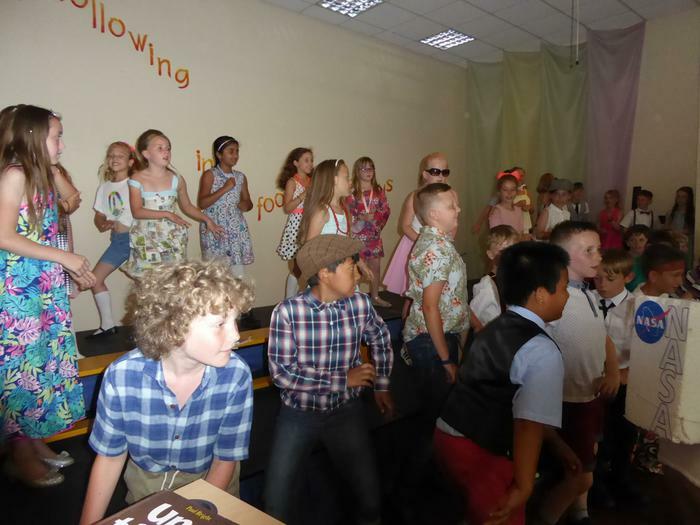 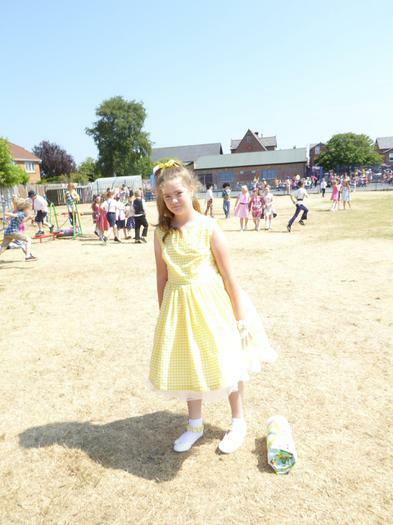 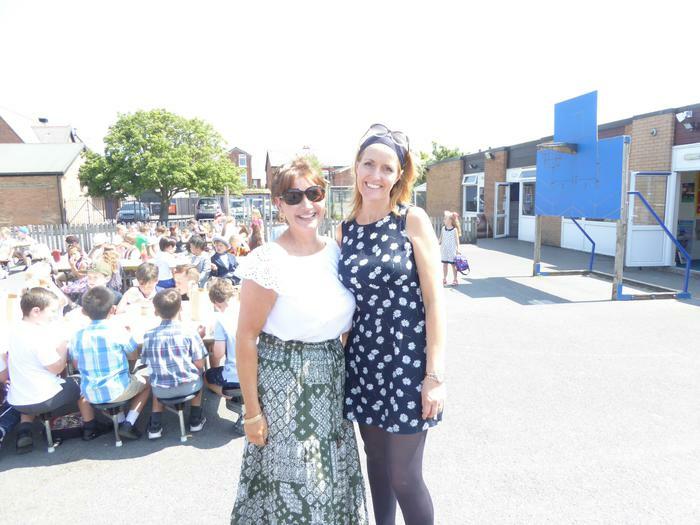 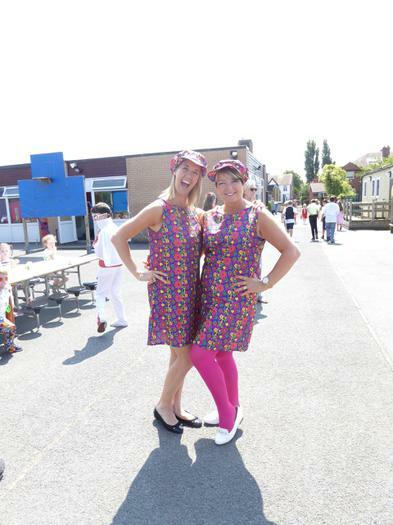 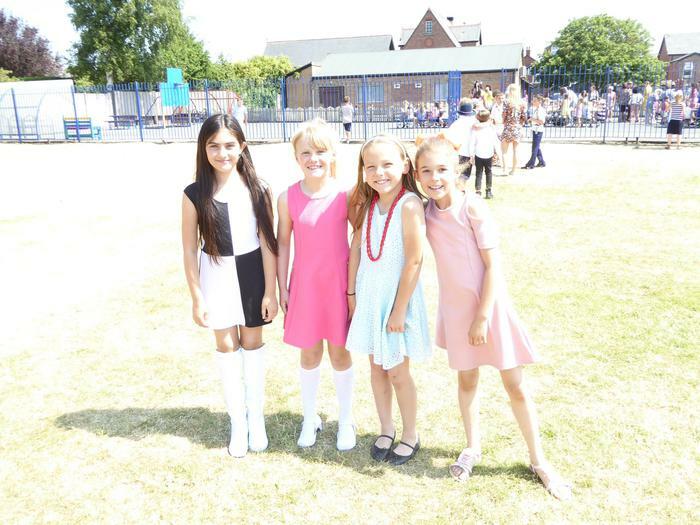 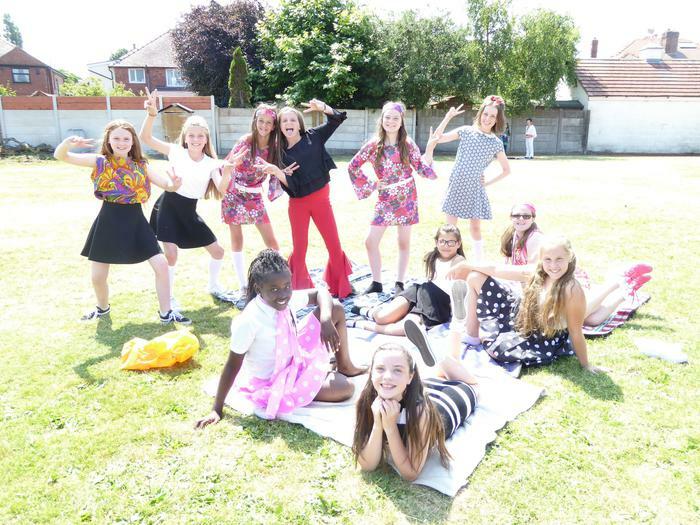 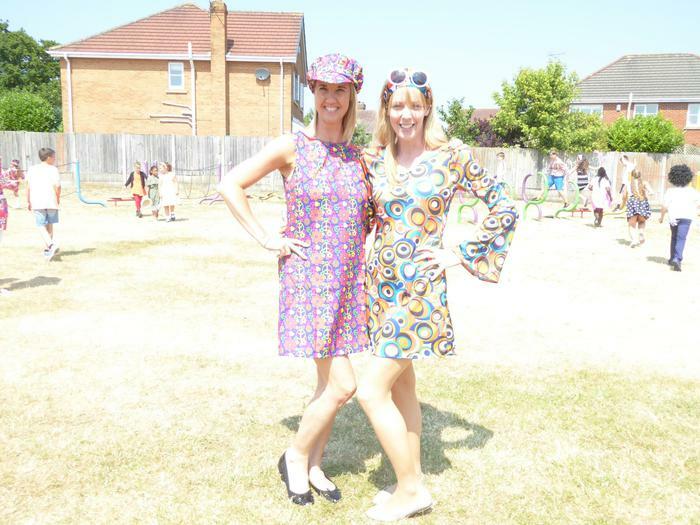 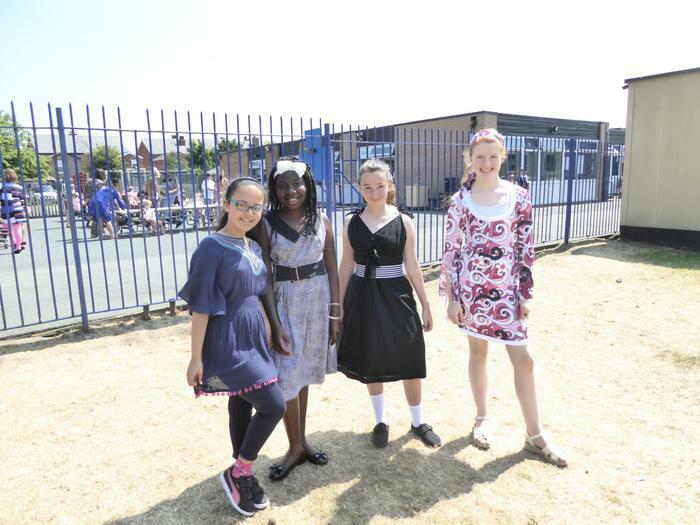 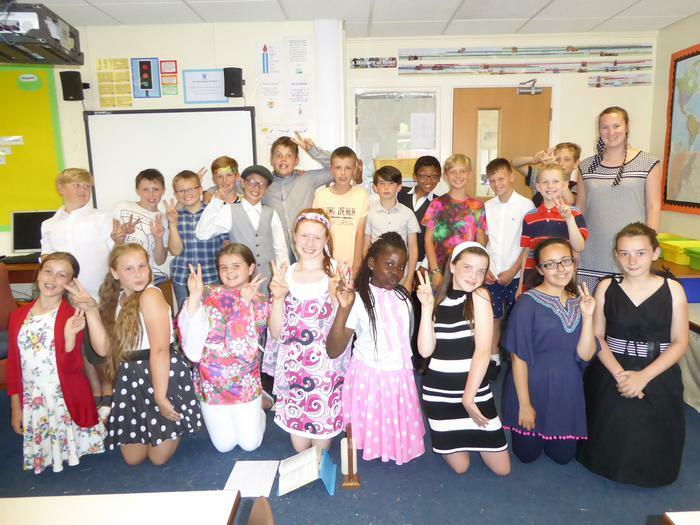 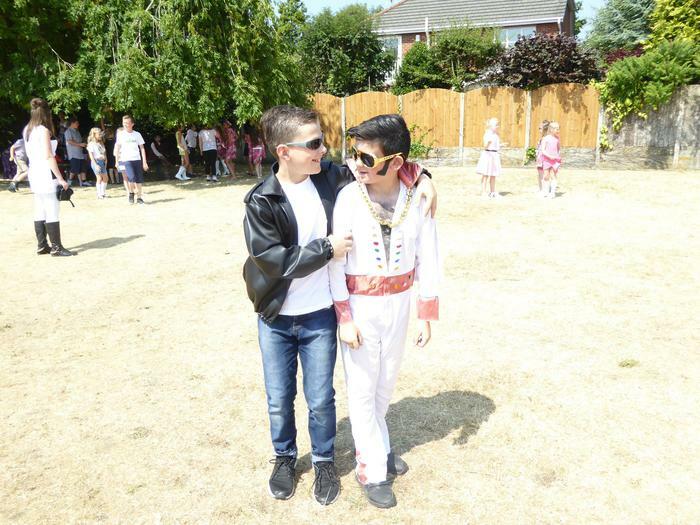 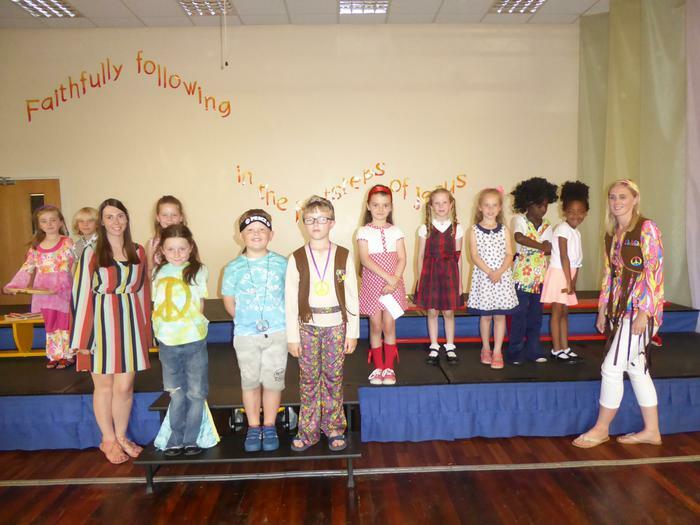 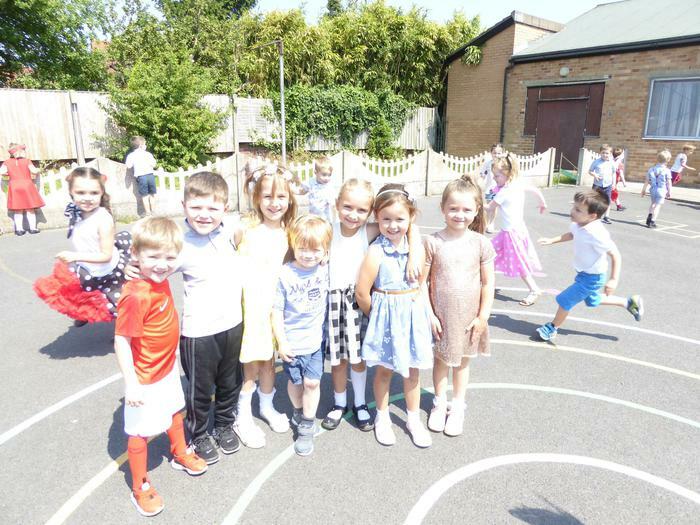 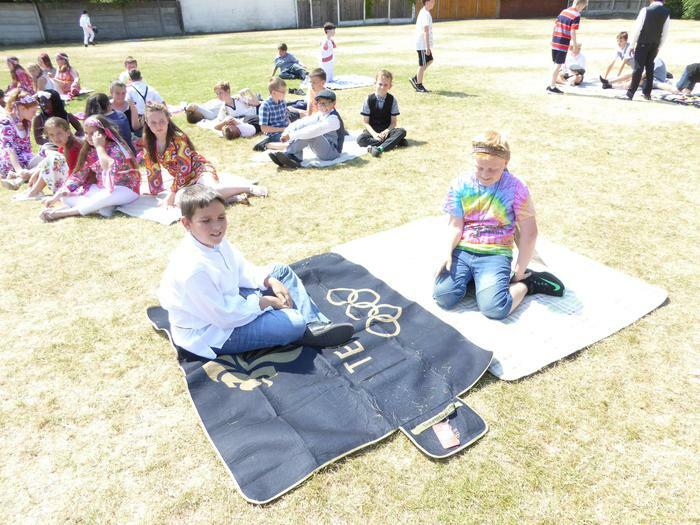 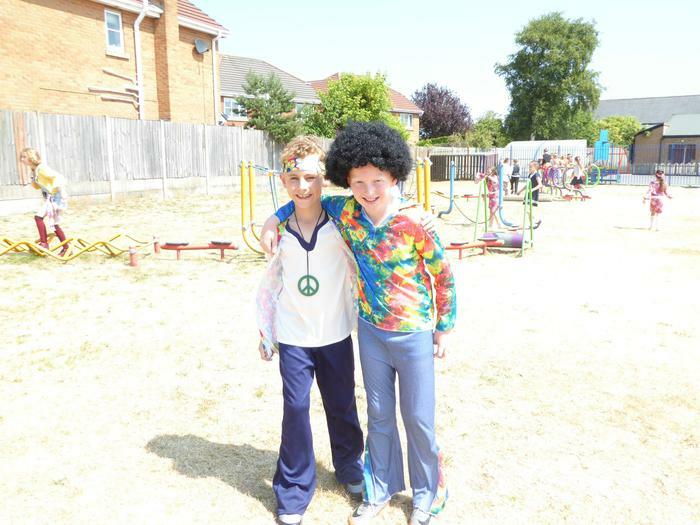 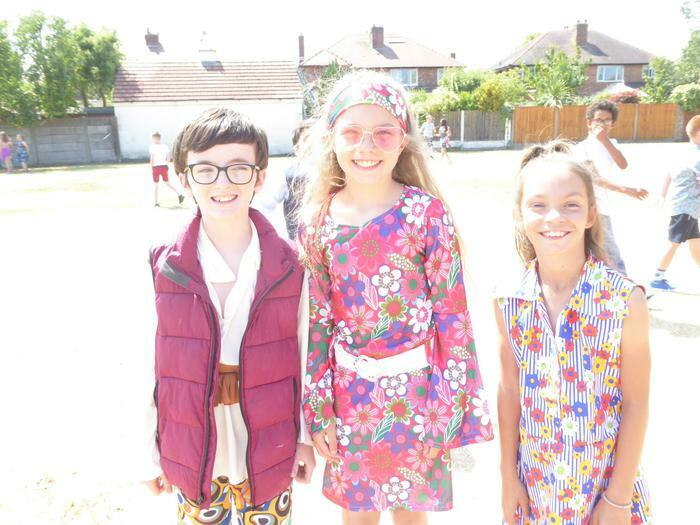 In July 2018, we celebrated the anniversary of our school learning about the 1960s - music, fashion, the World Cup, space travel and more. 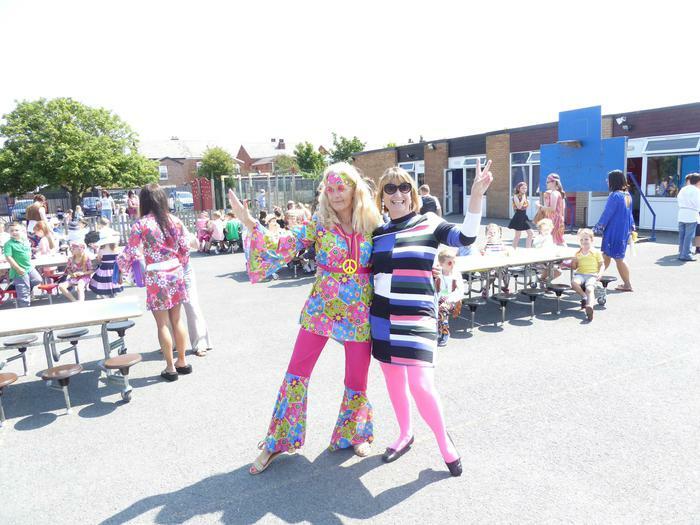 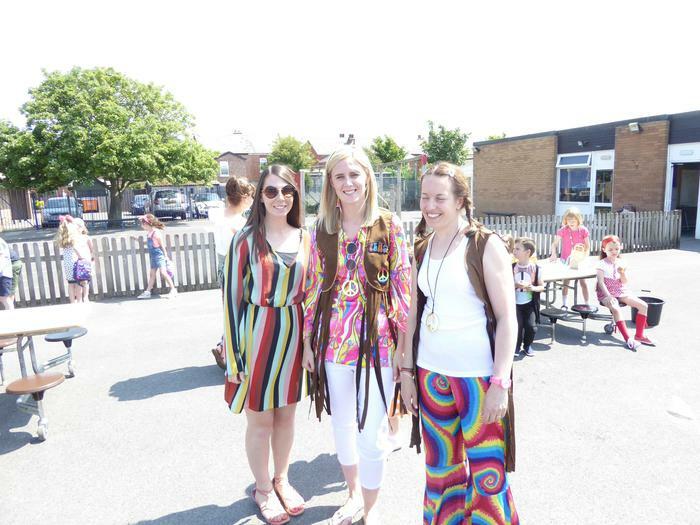 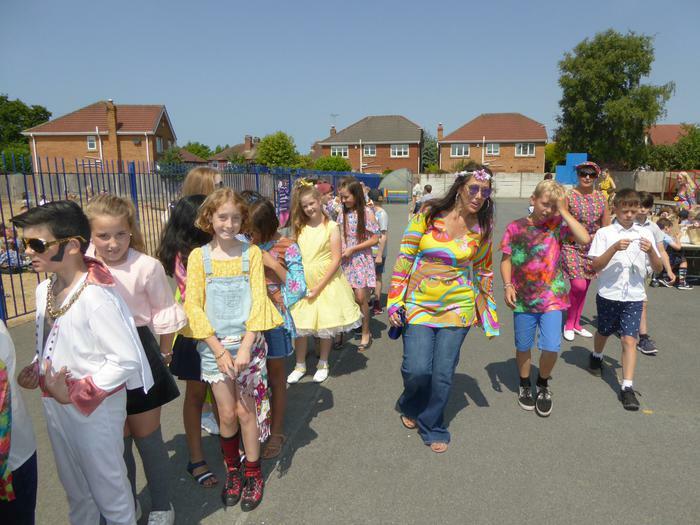 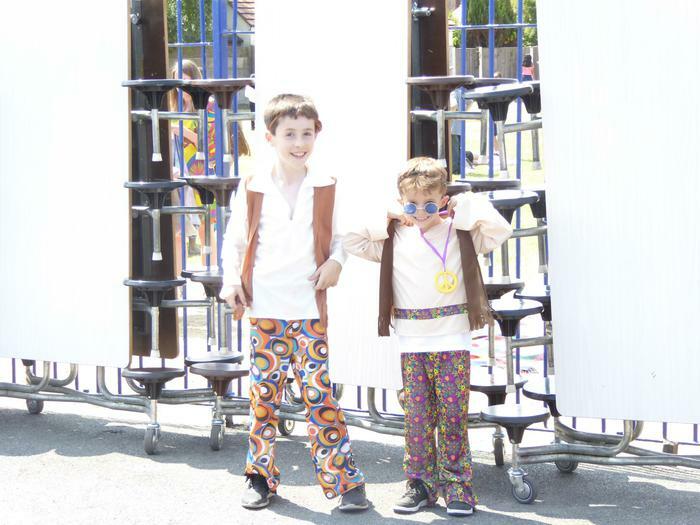 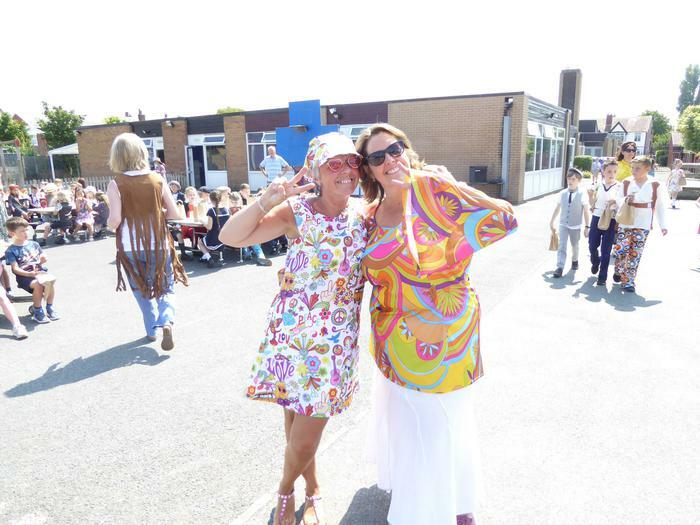 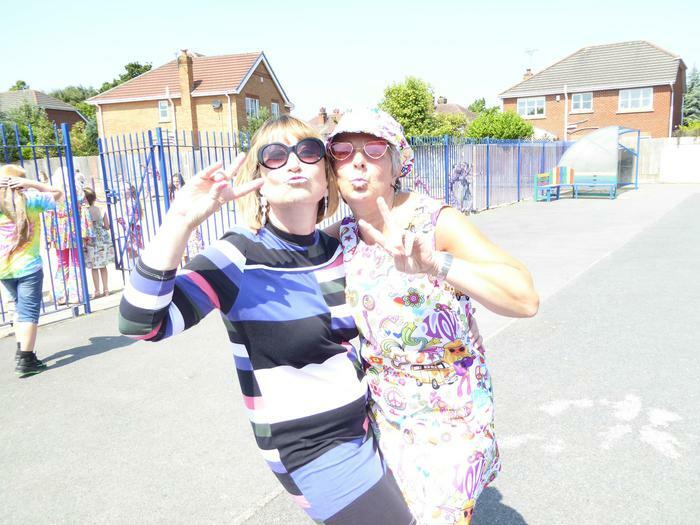 All pupils and staff came to school in 1960s style clothes - what a fantastic effort by all - lots of flower power, peace, love and even Elvis made an appearance!! 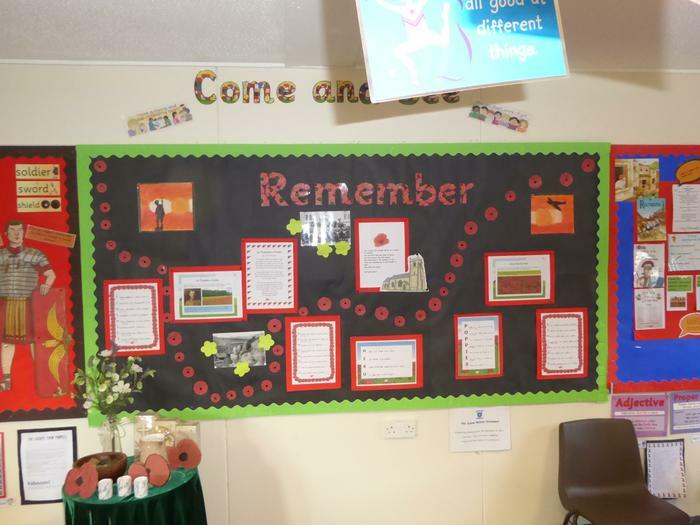 The children enjoyed a picnic lunch on the field and then gathered in the hall to share what they had learnt during the week. 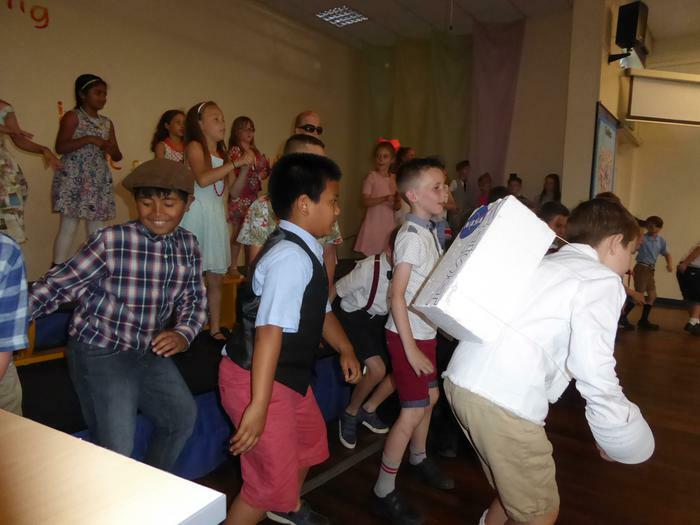 Lots of music and dancing - the twist and the locomotion to name but two!! 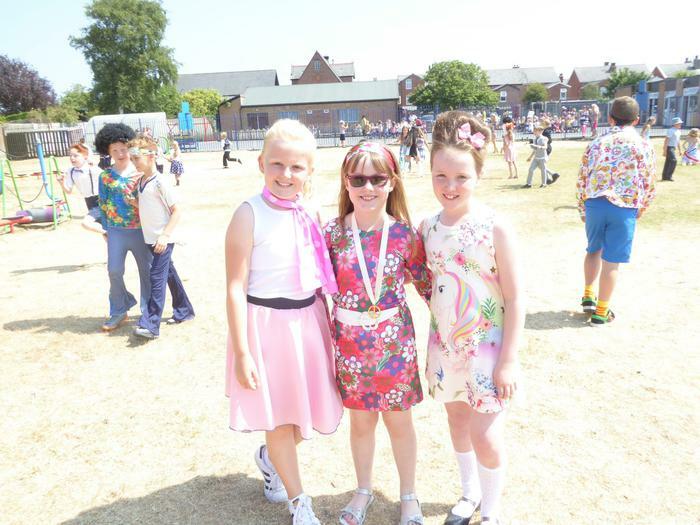 It has been a lovely celebration of 50 years of life at St.Patrick's school. 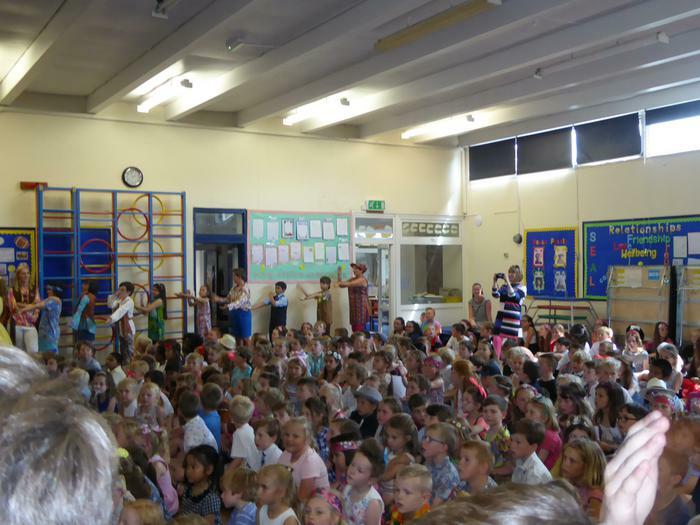 Thanks to everyone involved - children, staff and parents... 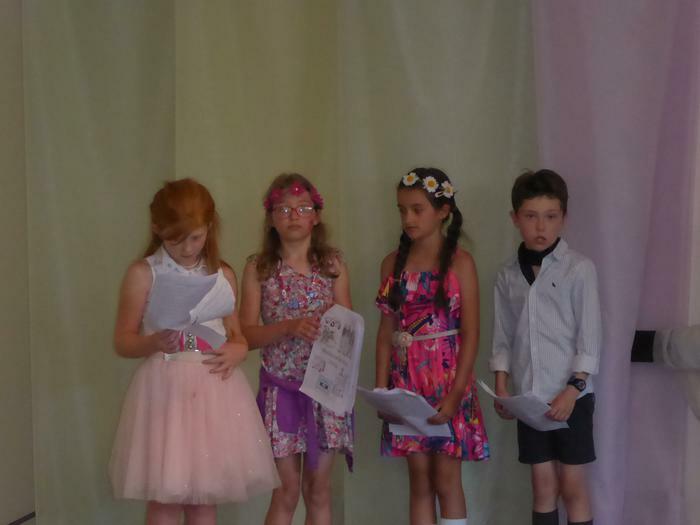 Enjoy the photographs!! 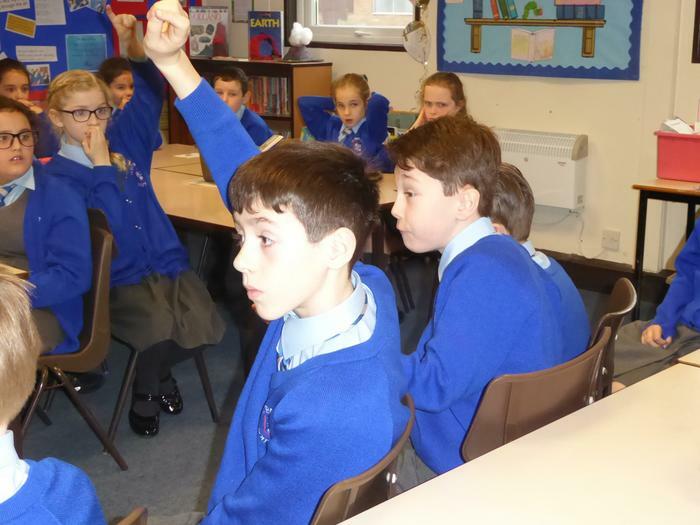 We enjoyed a fun and exciting Art lesson with Tim Quinn who works for comic book companies. 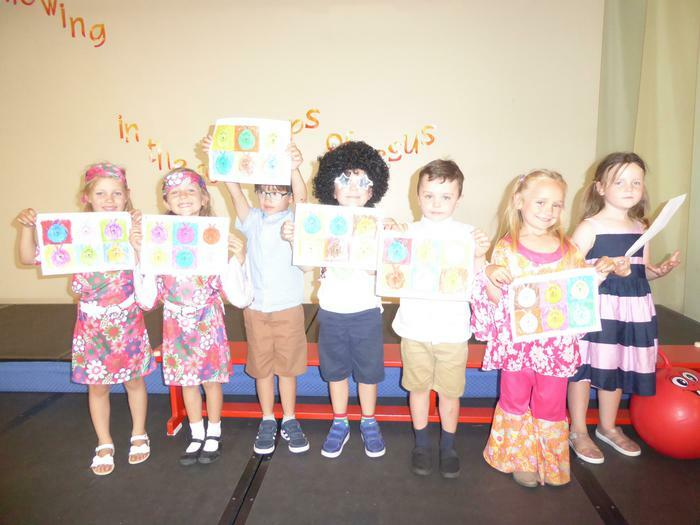 He helped us to see how Art is alive! 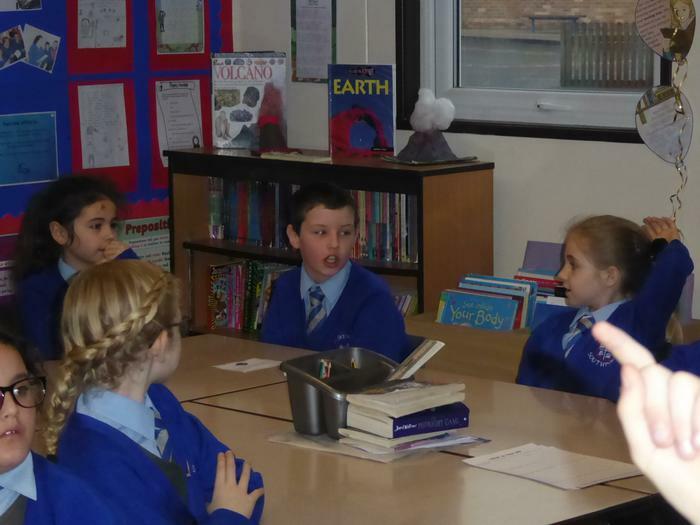 We looked at some of Tim's Marvel Comic covers and we enjoyed listening to how he has developed as an artist over the years. 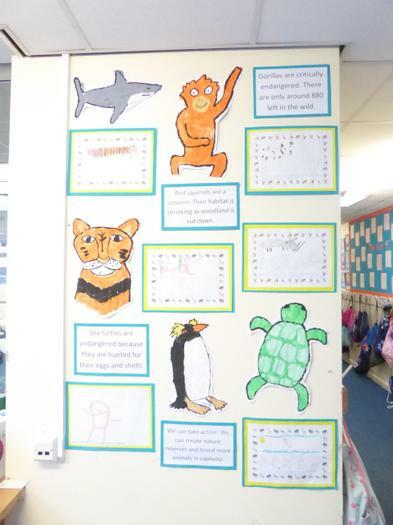 We created a super hero cartoon character ourselves and were asked to think about his/her powers. 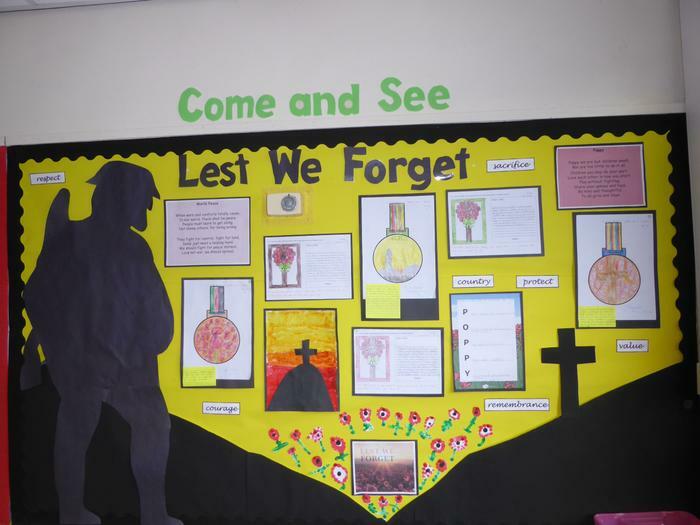 Enjoy looking at photos of our Art visit. 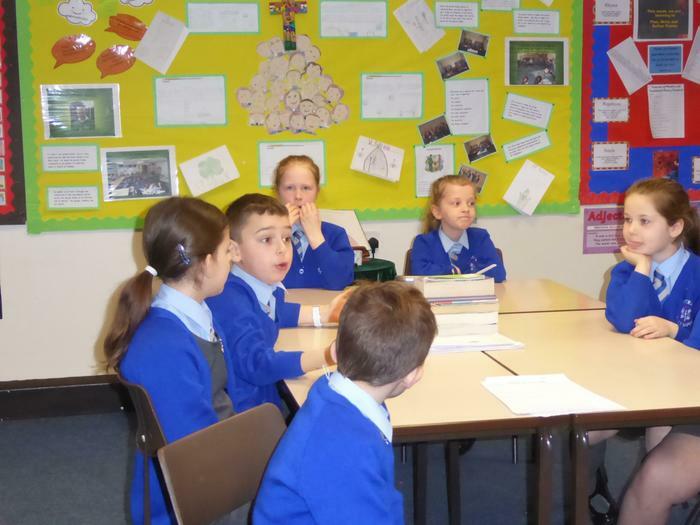 Tim has inspired us to continue creating superheroes and to enjoy writing stories about them. 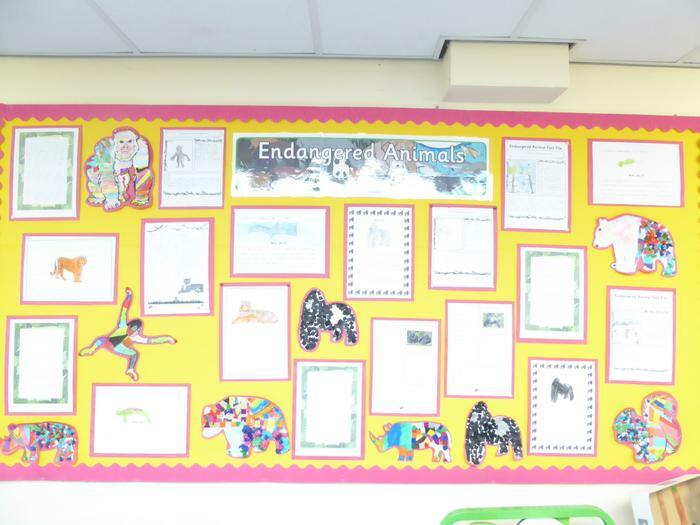 Who knows, there may well be a comic illustrator amongst us for the future!